Slate’s Abraham Riesman published a piece yesterday titled: “Could Climate Change Be Al-Qaida’s Best Friend in Africa?” Riesman includes quotes from the Center for Climate and Security, as well as from our colleague Dr. Nancy Brune of the Center for a New American Security. 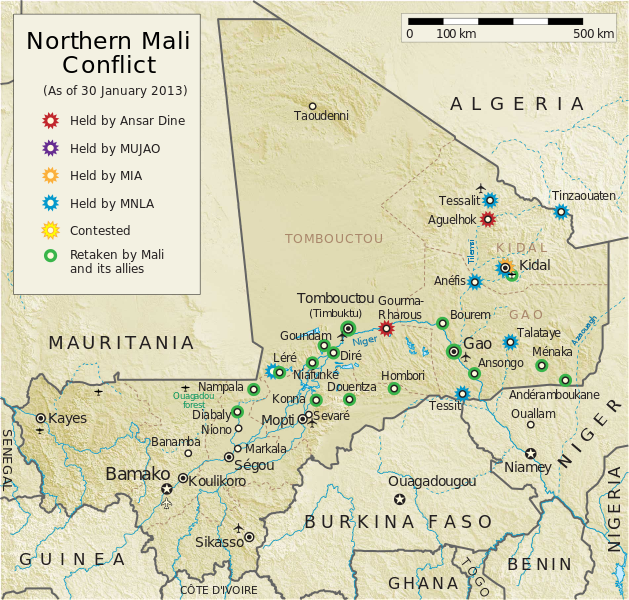 The piece focuses on the social, economic, environmental and climatic factors associated with unrest in Mali and northwest Africa, and how those factors might relate to the strength of non-state actors, including terrorist organizations. Worth a look. By Caitlin Werrell and Francesco Femia in climate and security on February 8, 2013 .